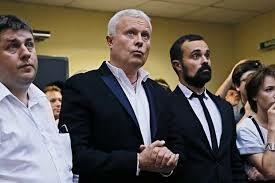 Independent owner Alexander Lebedev, currently completing a community service sentence in Russia for whacking someone on a chat show, is looking for a new investor in his Independent, Independent on Sunday and cut-price 20p i British newspapers according to a report in the Financial Times. Taken as a piece the papers are heavily loss-making although i has performed well in circulation terms. Which the daily Independent, still the core of the group, most certainly has not. The Indy is only selling about 46,000 copies a day if you exclude free bulk ‘sales’ to hotels and the like, hardly constituting a national newspaper at all. The search for money seems to have become more urgent because, first, Lebedev senior hasn’t got as much of it has he used to as his banking operation and other businesses in Russia have come under pressure and, two, he and high-profile son Evgeny have won the contract to provide local TV in London through their London Live operation – which may in time be a big revenue earner but will cost a lot to get off the ground. Sitting in the middle of this is the London Evening Standard, now a free paper under the Lebedevs with a circulation nearing a million. This has been a success and is allegedly profitable as advertisers use it to reach affluent Londoners. By contrast the daily Independent is a whopping £1.40. But the Standard isn’t making that much and its cash flow must be challenging as it waits for advertisers to pay up while it’s punting all these papers around London. The Lebedevs apparently don’t want to include the Standard (or, presumably, London Live) in any deal with an investor, which makes it an offer most people will be able to refuse. the Independent began life as a bold experiment by some former Telegraph hacks in the 1980s. One of them, Andreas Whittam-Smith is still chairman. Time might be up unless either Lebedev is on good terms with, say, Roman Abramovitch. Evgeny’s pal Charles Saatchi, currently with a few problems of his own, is unlikely to be able to help him out. Desperate times. Used to love the Independent but for a long time it’s lived up to its Indescribablyboring nickname and the editorial line is more of a student rant than anything.